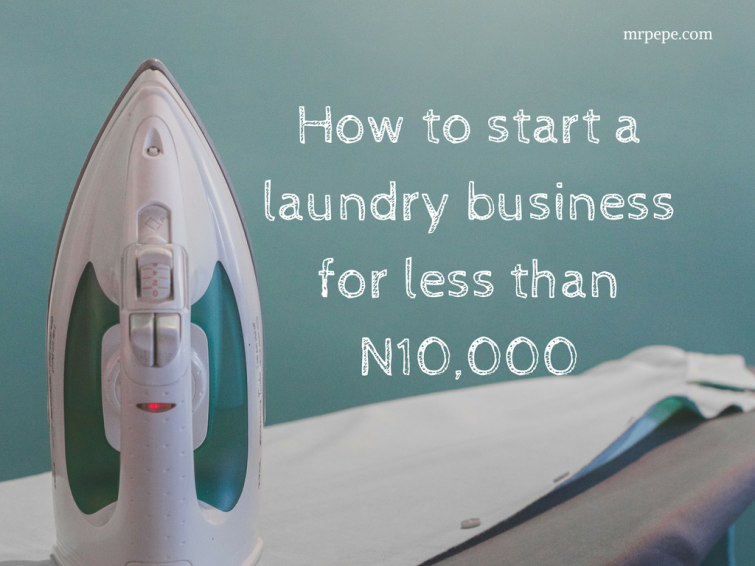 What if I told you, you can start laundry business in Nigeria with just N10,000? Hard to believe right? Then you can imagine the surprise when my good friend Wale told me how he started his. I will share his story later in this article. For me, it’s not difficult to imagine why laundry business is profitable. For starters, there are much more people that detest the chore of washing clothes. Imagine the joy taking your dried clothes off the lines all smelling nice. Now picture your clean clothes delivered to you without you lifting a finger. Pure joy, yes? That is why laundry business will continue to thrive. With growing urbanization, there will always be more dirty clothes and lesser time. Jobs are getting extra demanding, both parents now work to meet family needs, everything is fast-paced. For the growing numbers of bankers and corporate workers, they have to ‘look sharp’ every day, all year. Having a washing machine might save time but not everyone can afford one – plus if the cost of diesel to power a generator to run a washing machine is greaterthan the cost of getting it professionally laundered/ironed minus the hassle, then I know which option I would pick. The Laundry/dry cleaning industry in Nigeria might seem saturated. Laundry shops might exist on every street but the good news is, there is enough market for everybody. You see, starting a laundry business doesn’t have to take much capital. Like I earlier said, Wale started his with just N10,000. It is very doable and he is a living testimony. He is about to move to the next phase of getting a shop and more equipment. My good friend already had a generator and access to clean water. He bought 2 dry irons, 1 steam iron, and an ironing board. All items were fairly used and totalled N7,500. The remaining N1,500 was spent on detergents and other supplies. All his clothes were hand-washed. Since he worked from home, it was easier to iron clothes at nights when ‘NEPA’ was friendlier with power supply. Marketing was chiefly through word of mouth. Another strategy he employed was by wearing his own well-washed/starched clothes to church. Through this, he was able to build a good customer base. From his story, one can see it is possible to start a laundry service by hand washing clothes first. With time and dedication, more equipment can be purchased. Once you get a steady stream of regular customers, it is important that you don’t just spend all your profits. Always remember how you started and save a portion of your weekly profit for expansion. When you are ready to expand, here’s how you can scale the business. If you are going to be physically involved in the process, then you need to have some skills. It is normally advised to have experience in the business first. Working at another laundry (even if it is for free) will expose you to various parts of the business such as cloth handling, customer relations, bookkeeping. Perhaps, the above is not an option then you can check on the internet for resources on laundry and dry cleaning. This is also necessary if you’ll only be in a managerial capacity. 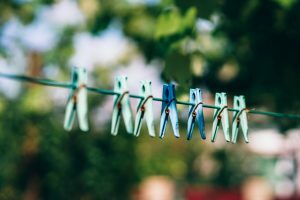 Must have laundry skills include; cloth handling/sorting, cloth folding, starching, washing, dry cleaning, ironing, dealing with white clothes/special fabrics etc. For help with some of these, see these YouTube videos. Being good at washing is not enough to sustain this business. Ironing and packaging might just be what puts ahead of the competition. The cheapest means of marketing is through word of mouth. Social media platforms such as WhatsApp and BBM can be used to send customised messages to friends and family. You can start by informing people from your place of worship, workplace, and build from there. If you’re tech savvy, you can design simple flyer designs using Microsoft Word. Online print shops such as this can deliver beautiful flyers to you for as low as N6,000. These flyers can be dropped at homes in your vicinity, hotels, boarding schools, offices or when you visit your bank. If you offer specialized services such as collection and delivery, expedited washing, you should include them in your marketing campaign. As the business grows, you could invest more in branding. Packaging nylons can be branded with your business name. Branding can be promoted with online presence such as a website. The nature of marketing at any point in time will be influenced by the size of the business at that point. Promotions can be done to increase patronage and customer loyalty. In my area, some drycleaners include a branded pen with every 5 clothes they handle for you. You can also give free socks/tie washing for clients that spend over N5,000 per month. A customer reward program can be done when customers refer someone else. For small-scale startups, collection and deliveries are usually done on foot. This works best if customers are close by. Further deliveries can involve public transport. 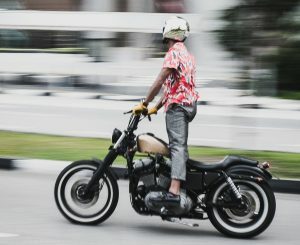 A bicycle or motorcycle can be gotten with time. On a much larger scale, a delivery van or bike will be needed. This will involve more personnel. Depending on your search, some of these can be gotten fairly used thereby saving cost. For a medium scale laundry, there will be a need for extra hands. As the business grows, more personnel can be added. For example, a receptionist to handle customer queries, a delivery man for deliveries and so on. Every day clothing can be cleaned for N200-N300. In parts of Port Harcourt, washing and ironing a long sleeve shirt goes for N300. Lighter items like singlets, socks, ties, head-ties go for N50-N100. Heavier items like bed sheets and suits are done at higher cost. Suits are handled for N500 with N350 for some native attires. This article gives a price list for Lagos. In price fixing, it is important to know what is obtainable in your area. Running cost include money spent on washing supplies, generator fueling, utility bills, transportation etc. For a medium sized laundry, this could reach N30,000 per month. If you have workers this figure should rise. However, having extra hands should match up with volume of work being done. Monthly revenue can amount to N100,000. A pretty realistic amount when you consider someone like this man who makes about N120,000 monthly. Laundry business is very lucrative. Initial cost is not high and it is highly possible to break-even in first year of operations. It also has its peculiar challenges which are surmountable with dedication and commitment. Nice tips though this isn’t easy especially in a boring or dry location. Thanks for the feedback, but I think you will need to research the location first even if it means going to offices and distributing flyers and offering to collect their clothes from them. Nice tips…. Have been thinking on the business to start with since.. Thanks. Make a move! Hope it works out for you. Thanks this is helpful. Am about to start. Please can you help with the book keeping procedures. Thank you very much “Mr Pepe” for this article. May God bless you. As a matter of fact, I had just gotten to the 4th paragraph when I decided to bookmark the page for future reference. Found it very helpful. Thank you so much. Thanks for sharing wonderful blog post. It’s going to help a lot. Someone just messaged me asked which type of business can she start as a fresh graduates. Thanks once again. You can actually checkout this wonderful cool designs for promo. http://www.printivo.com/store/damilola I just purchase a sticker there for my business promotion. This is a priceless masterpiece for those who genuinely crave for self employment and financial independence. I am wised up here. sincerly its a nice guidline which aid me to start my business on time and avoid procastination. God will help you. I’m commenting to let you understand what a amazing discovery our princess had using your blog. She came to find several things, which include what it’s like to have an awesome giving character to have other people very easily know just exactly specified complex subject areas. You really surpassed our own expected results. Thanks for rendering these priceless, trustworthy, revealing not to mention fun thoughts on this topic to Lizeth.